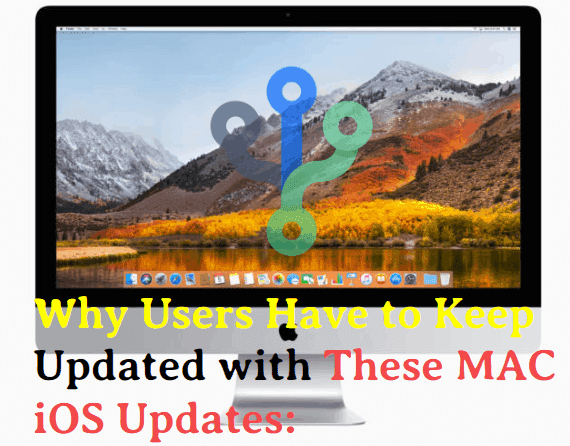 Mac updates improve the overall performance, stability as well as security of your Mac. So, run the most recent version of your licensed product and have the most up-to-date security content in order to protect your computer. The updates can be done accordingly! You can choose the time to install or even can set the reminders to install the updates tomorrow. It is up to you, choose the best way possible. 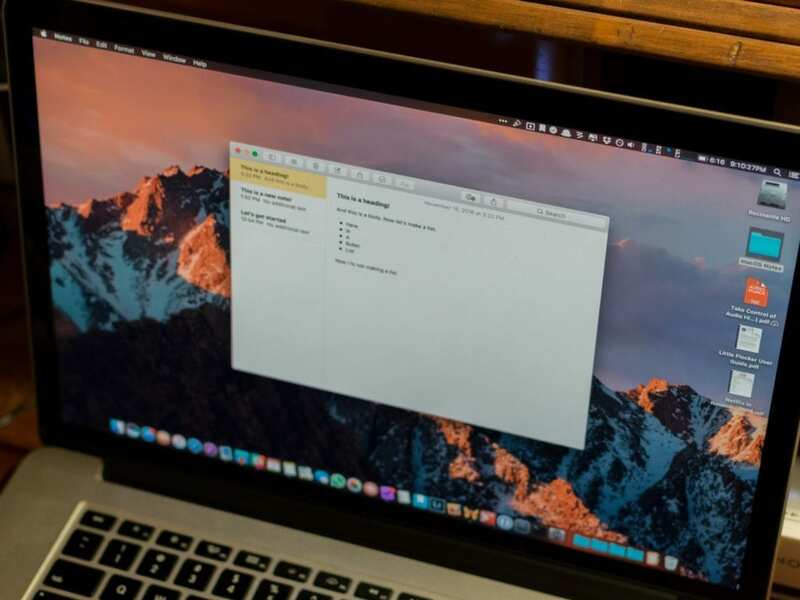 Keep your OS X up to date without driving you crazy and without having to think about it. How? You just have to change the setting of the Software Update to automatic check and download updates in the background. Next, you have to check the checkbox of “Check for updates”. Select the setting as “Monthly” through the drop-down box. Lastly, check the checkbox next to “Download important updates automatically”. If you want, you can set Software Update to check every week. You can even click on the “Check Now” button to check whenever you want. You must have noticed that in November’18 both, Apple’s Safari and Mozilla’s Firefox were updated. Also, in October ’18 Apple released their seventh security update of the year. Furthermore, Java was updated in September’18 and rumor has it that Leopard version will be updated to 10.5.6 very soon. Have you ever put on some time thinking why updating your Mac and its application is so important? Or ever give it a thought of does the usage really effects you. MAC OS is great and wonderful but not perfect! Apple manufacturers do make mistakes. Sometimes these mistakes are caught before the system is released but sometimes these mistakes slip through the cracks and thus found by the unsuspecting user later on! Apple manufacturers work hard to fix these errors rather than leaving the system broken. Thus to make sure your Mac gets fixed, Apple goes through the process of the software update. A number of things can put your Mac into some not happening conditions such as Clicking on the wrong email, opening the wrong program. It can be also watching the wrong video, visiting the wrong website, or sometimes visiting the right website that has been tainted. Although OS X is not targeted heavily such as windows but what if both have security holes (generally known as vulnerabilities)? The ability is still there. It’s not end yet. Don’t console yourself thinking there’s never been a virus for OS X and it is much safe. Instead, people who create viruses, spyware, trojans, keyloggers, and botnet are more focused on OS X instead of Windows. How Do You Protect OS X From All This Not Happening things? Software Update! Apple Engineers work and fix out the weaknesses, if found, in case! If they do so, it is released as a security update. Is that much important? Of course yes! Since January’18, there have been seven of them. Don’t get surprised if the Mac OS update comes over and again. Other Applications such as Firefox, Flashplayer, Microsoft Office, Quicktime and Adobe’s Acrobat Reader all have security problems as well. These all are fixed the same way that is by updating them. 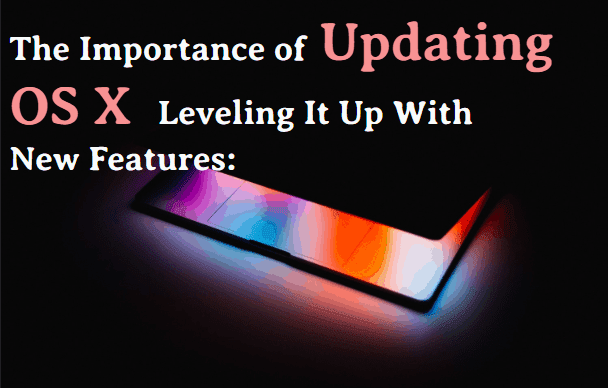 Last but not least, Apple manufacturers not only fix up the errors and security weaknesses in the update procedure but also add in a new feature or two for OS X. Also, Apple adds a new feature to the iTunes Store; it adds new drivers for newer printers via Software Update. In addition to this, performance stability is also improved by it. It improves the speed of both the general experience of OS X and specific programs. 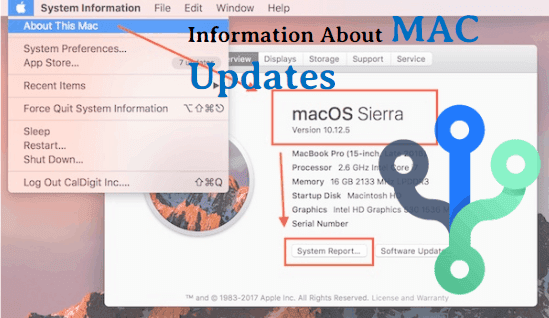 macOS 10.14 Mojave is the latest mac os version update, which Apple released on September 24, 2018. As we know, Apple releases a new major version every year. These updates are available in the Mac App Store and are completely free of cost. It is also known as macOS 10.14 and is the fifteenth major release of the Mac operating system. CHECK: Do You Have The Latest Version ? The first and foremost thing to check the version of macOS you have installed involves clicking the Apple menu icon at the top left corner of your. Next, select the “About This Mac” option. Next, you have to choose the “About This Mac window” option shown in the picture above and as soon as you click, you will get to know the name and version number of your Mac’s operating system. It appears on the “Overview” tab of it. As you can see in the below picture, 10.14 of macOS Mojave is installed there. Always Remember, if it starts with 10.14, you have Mojave version and If you have macOS Mojave version “10.14.1”, it clearly refers that you have Mojave with the “.1” update. Hit on macOS Mojave (or the version of Mac OS X you need). Next, Fill out your Apple ID information if prompted. The download will start then. You can check the time left at the bar of downloading. With this feature, it is easier now to get a photo or scan on to your Mac. It works absolutely fine with Notes, Mail, Messages, and in the Finder. Also, it works great with Apple’s Numbers, Pages, and Keynote. 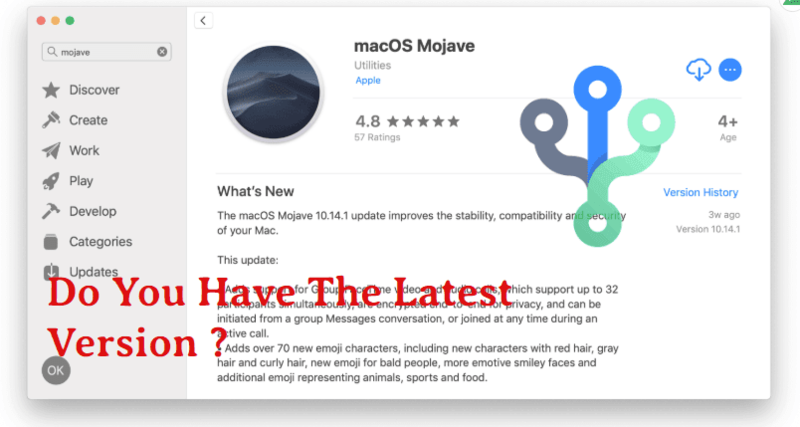 There are various security features that make Mojave an attractive upgrade. The first on is OverSight-like feature. This feature alert you when an app wants to access along the camera or mic, as well as iTunes device backups, Time Machine backups, your Mail database, your Message history, your Safari data, and any other data. It provides simple editing tools so you don’t even require opening an app. All you need to do is simply click on the Quick Actions icon between the rotate icon and the Open in Preview button. The set of editing tools will appear itself. You can even use a set of markup tools to write notations, you can rotate in 90-degree increments and crop images or even you can trim clips for audio as well as videos. It can be really your time saver if you need to deal with tons of pictures or videos. You can find good use of News, Stocks, and Voice Memos apps on your iPhone or iPad using this update. Not only this, but also all your preferences can be saved to iCloud, so your topics, channels, watch list, and more. It also allows you to set your sources and subjects according to your needs and interests. Apple is working day and night to get the apps easier for you. If you are a frequent internet user (such as mail, web- surfing, online shopping etc), it is very important to be up to date. Also, the older OS is more vulnerable from the security point of view. If you are an online business maker or running a business online then, of course, you will need to do some bit of research before you update. Some of the software’s don’t support old versions. You don’t want to end up in a jam and losing business in case things fail. How to Update MacBook Pro ? For software updates, always check your Apple MacBook Pro regularly and also ensure that the computer is using the latest software. Outdated software causes irrelevant problems to your computer. OS X, the MacBook Pro operating system uses an inbuilt functionality to check for mac updates or even you can access them from Apple menu. Some of the features require an Apple ID (terms apply). Some of the features require a compatible Internet service provider; fees may apply. Step 1: To access the Apple drop-down menu, simply click the Apple icon in the upper left corner of the screen. Step 2: Now, hit the option “Software Update” from there. As the computer checks for updates online, software update progress bar appears on the screen. Once it finishes the update, the window will pop up the message “Software updates are available/ ready for your computer. Hit it up if you want to download and install them”. Step 3: Next, to install the updates on your computer, hit “continue” option. Remember, to install the updates in some cases, you can be asked to enter your user name and password. Also, your Mac computer will restart automatically, in case the computer needs to. Step 4: in case you are not interested to install all the updates, click “show details” option to see the list of the updates for your computer. Step 5: you can easily remove the updates which you don’t want to have by simply clicking the box next to any of the updates. Just check mark and skip that update. Step 6: finally, to install the updates, simply click the “Install” button. Then you will be prompted to enter your name and password. Also, the computer will restart automatically, in case the computer needs to. How to update Macbook Air ? One of the best ways to introduce your device to various new features is Updating a MacBook to the latest OS version. Every update proffers a wide range of secure and reliable features. Not only this but also it comes with lots of bug fixes. Step 1: connect your computer to an active internet. Then open the MacBook Air. Step 2: Now, you have to click the Apple icon available on the top o the side of the screen. Step 3: Next, you have to reach up to the scroll- down menu and choose software update from there. Step 4: As soon as you will see the three kinds of the icon, click on show details to view the details about the latest OS version. Step 5: At last, hit the Continue tab to complete the process. MAC Guide is a third party support service provider for software support. Brand and product use is only subject to reference and MAC Guide has zero claims of sponsorship, affiliation and endorsement. Availability of our services is assembled in the brand owner’s website as well. MAC Guide hereby refuses to be held responsible for any of the content advertised on or through our website. Use of the services and references is the sole discretion of the user. Our company’s trademark is legally registered and has the sole ownership of all the contents shared in its website. Using any of the content with the purpose of copying, sharing, using part or full without our permission is an illegal matter of subject. Copyright © 2019 macguide.info All rights reserved.